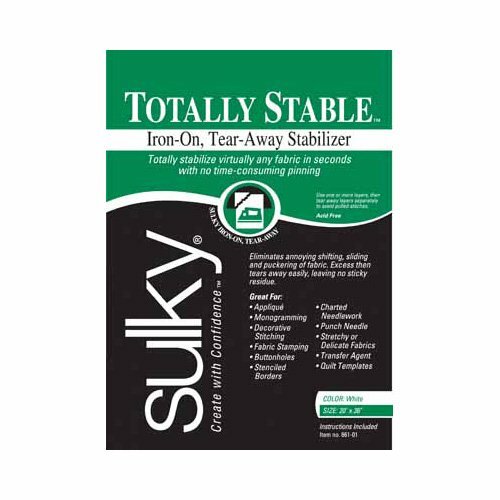 Iron-on, tear-away stabilizer. Ideal as a backing to stabilize knit and stretch fabrics when appliquéing, monogramming, embroidering and doing charted needlework. Use as a pattern copy paper or as a quilt-piecing template. Can be re-ironed several times. When torn away, it leaves no sticky residue. Available in both black and white.